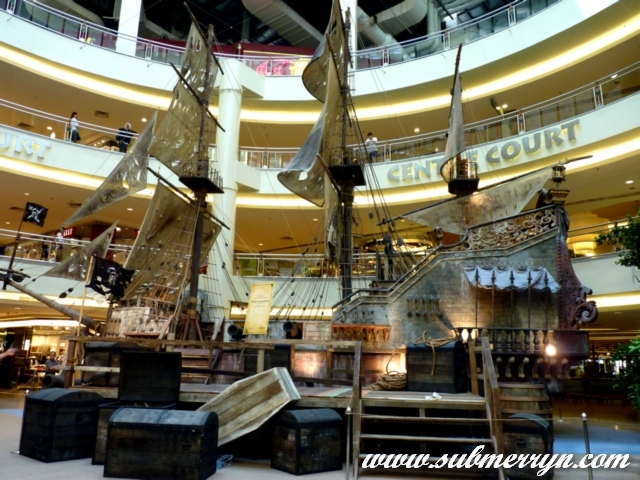 When was the last time you stepped foot in Mid Valley Megamall? I went there on Wednesday and I saw this awesome pirate ship!!! Watched it alrdy last night, awesome! I watdch Pirates because of Keira Knightley. Now, will be watching because of Penelope Cruz…. hehehe..I miss Mid Valley but will be there soon! I have not been stepping to the cinema for more than 4 yrs. Wow! They really go through great lengths to promote this movie huh? I haven't seen the ship although i frequent Mid Valley. Anyway, it was nice meeting you in person, Merryn. Ethan is really a very good boy and he is a carbon copy of you!